Do you often get frustrated by cleaning the mess of hair and other remaining after shaving or trimming? If yes, then gone are the days of your worry; as the official franchise of the Telebrands PAKISTAN has come up with a versatile product that will save you from such mess not only in shaving, but during shaving too. The name of this top quality product is Beard Bib Black Shaving Grooming Apron. 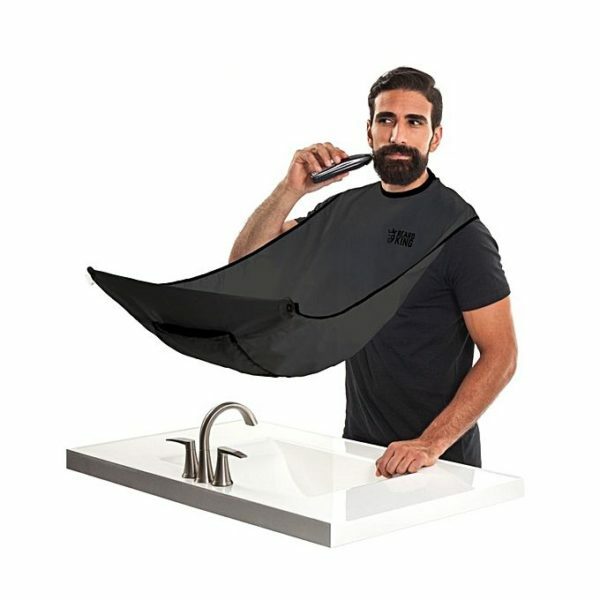 The Beard Bib Black Shaving Grooming Apron is basically a top of the line lightweight Nylon Apron designed to save the user from the dropping of cutting or shaving. The Beard Bib Black Shaving Grooming Apron features the adjustable Velcro straps that can easily be wrapped around the neck of the user. One of the best features of the Beard Bib Black Shaving Grooming Apron is that it also features the two suction cups. These suction cups can easily be placed to any glass surface in seconds. These suction cups also prevent the need of an extra person that constantly holds the apron during the use. If you have made up your mind to purchase this top of the line Shaving Apron, then all you have to do is to just dial the number 0333.4115583 from your landline or mobile number.